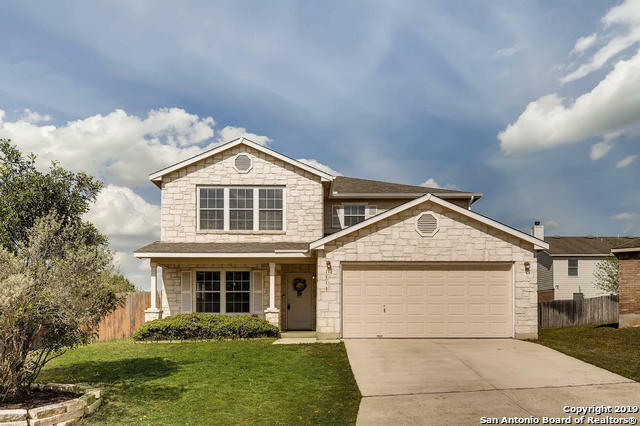 All BLUFFS OF LOOKOUT CANYON homes currently listed for sale in San Antonio as of 04/20/2019 are shown below. You can change the search criteria at any time by pressing the 'Change Search' button below. "So much space - both indoors and out! Over 3100 sq ft on a Huge Half-Acre+ Lot * 3 Living Areas * 2 Eating Areas * Game Room Upstairs * Ceramic Tile in Entry, Kitchen, Breakfast, and Laundry * Eat-In Kitchen with Large Walk-In Pantry * Kitchen Overlooks Family Room (16'x30') with Plenty of Space for Gatherings * Master Bedroom Features Walk-In Closet * Master Bath w/ Double Vanity, Garden Tub & Separate Shower * The Back Yard is an Entertainer's Delight * Flagstone Patio w/ Pergola and So Much "
"This 3 bed, 2.5 bath secluded gem is nestled cul-de-sac in the vibrant Oliver Ranch community, which affords residents a community pool, playground, sport court and more!. 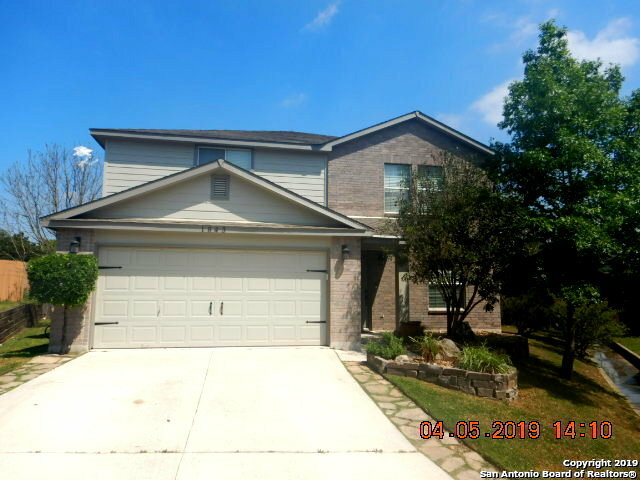 With 2390 sqft +/-, this home features an oversized game room upstairs, new carpet throughout, walk in pantry, open concept from kitchen to living, extra large master suite with huge walk in closet, covered patio, easy access to 281 and shopping/dining/recreation. 10 minutes from everything! Welcome home!" "This home is located just a bit north of the bustling city. The feeder schools are all high-preforming with the elementary school less than one mile up the street. The floor plan is super functional as there is a full bathroom and guest bedroom down stairs and three additional bedrooms with two bathrooms upstairs. The large living room and formal dining room are perfect for entertaining! Gorgeous fireplace in the family room which opens up to a large kitchen. The home is nestled on a cul-de-sac!" "Beautiful 4BR/2.5BA home on a cul-de-sac with tons of recent updates including new wood like ceramic tile floors, fresh neutral paint throughout, new faux wood blinds, new wifi garage door opener. AC replaced 2018. New kitchen sink, faucet, and garbage disposal. Stainless appliances. Exterior features include covered patio, sprinkler system, recently painted privacy fence and backs to a greenbelt. Excellent location near restaurants and shopping and in a great school district."